Each year, approximately 700,000 people are released from prison. Prisoner reentry has emerged as an object of knowledge and intervention in profound new ways over the last decade. The immediate survival needs of people released from prison are vital issues for building the prison abolitionist movement. However, an uncritical acceptance of the seemingly benign notions of prisoner reentry circulating in mainstream criminology and corrections warrants caution. Prisoner reentry initiatives can be read as the latest installment in a long history of reformist reforms, which have expanded the punishment system and strengthened the legitimacy of the contemporary prison. 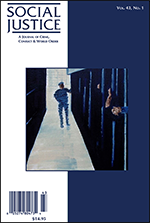 The author argues that prisoner reentry must be grounded in a politics of abolition if it is to undermine the conditions of mass imprisonment’s emergence.